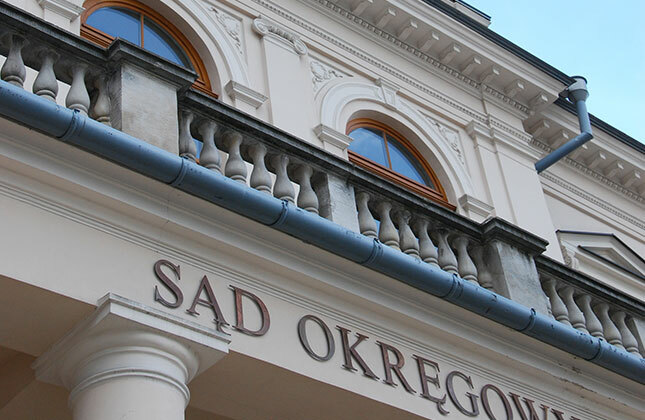 One of the branches of the legal office of lawyer Agata Skwarcz is family law. We provide comprehensive advice and legal assistance in the field of family issues, including the family and guardianship code and other laws, including social assistance. We represent our clients in court cases: divorce, alimony, or related to parental authority. We provide substantive support at every stage of the proceedings - from the moment of submitting the application or statement of claim, through representation during the hearings, to possible court proceedings. In addition, we offer ongoing legal assistance - for example, when constructing applications, filing complaints and other court or official actions. In the area of labor law, I offer legal assistance in all matters (civil and others) arising from an employment relationship by appearing on both sides - both the employer and the employee. I conduct labor law cases: determination of the existence of an employment relationship, recognition of dismissal as ineffective, reinstatement and restoration of previous working or pay conditions, compensation for unjustified or violating termination and termination of employment, regarding procedural penalties (appeal from ordinal fine) and work certificate (rectification of work certificate), for payment (contractual penalties, overdue remuneration e.g. for overtime, equivalent for unused holiday), as well as matters determining the employment relationship in the absence of an employment contract, determining the actual form of employment and its time dimension. I also see the need to negotiate employee relations at the pre-litigation stage, which often allows us to avoid a time-consuming and costly process. In this regard, I offer assistance in the course of negotiations, consultation of the content of the settlement, and indication of the ways of implementing the settlements and agreements. I also help employees affected by mobbing in the workplace in the exercise of their rights. The scope of services offered to employers, apart from court disputes, includes the creation of draft employment contracts, denunciations, consultations on the validity of terminations and their forms, and consultation of the selection of employees to terminate a contract of employment. As part of the services provided, I also offer assistance in the field of medical law. The lawyer's area of activity covered by this field includes assistance and representation of the client's interests in matters that arise in the field of medicine, and whose consequences are far-reaching. I have experience in conducting criminal cases at the stage of preparatory and court proceedings, the subject of which is a mistake in the art or a medical procedure without the consent of the patient. In these cases, I represent both entities providing medical services (doctors, dentists, health care facilities) and patients. The effect of determining liability in the above-mentioned matters is liability for damages - I offer civil proceedings for damages, compensation and disability, as well as assistance in constructing claims and verifying expert opinions submitted in court cases. I also conduct cases in which I am seeking compensation for violation of patient rights arising from the norms of law - the right to intimacy and dignity, to respect family life, to information, to the confidentiality of information related to health. In the area of medical law, I also represent parties in proceedings before the Provincial Commission for Medical Event Assessment - at all stages of the proceedings (motion to institute proceedings to establish a medical incident, participation in committee meetings, preparation of appeals against commission decisions).